Comment: Previous owners had termite problem. Would like coverage to prevent reoccurrence. Comment: I have several acres ....some yard....some close to pond....squisshy ground in several places on property where tunnels are. I need a price for exterminating these moles. Comment: We have squirrels and birds in our attic/fascia. Rogers Pest Control Services are rated 4.64 out of 5 based on 245 reviews of 4 pros. 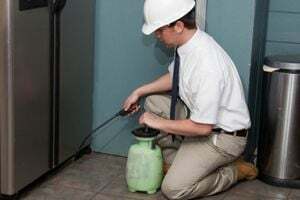 Not Looking for Pest Control Contractors in Rogers, AR?